Watch live on television and online now as the Chicago Blackhawks receive the Stanley Cup and the Conn Smythe Trophy winner is announced on Hockey Night in Canada. 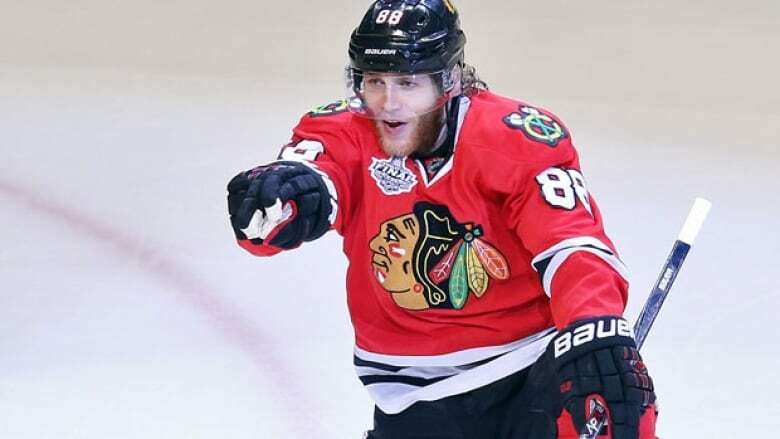 Patrick Kane and the Chicago Blackhawks celebrate their Stanley Cup win. Every game in the series can be seen on CBC TV and CBCSports.ca, where the action will be streamed live to your desktop for free. Streaming to mobile devices is not available through our site.